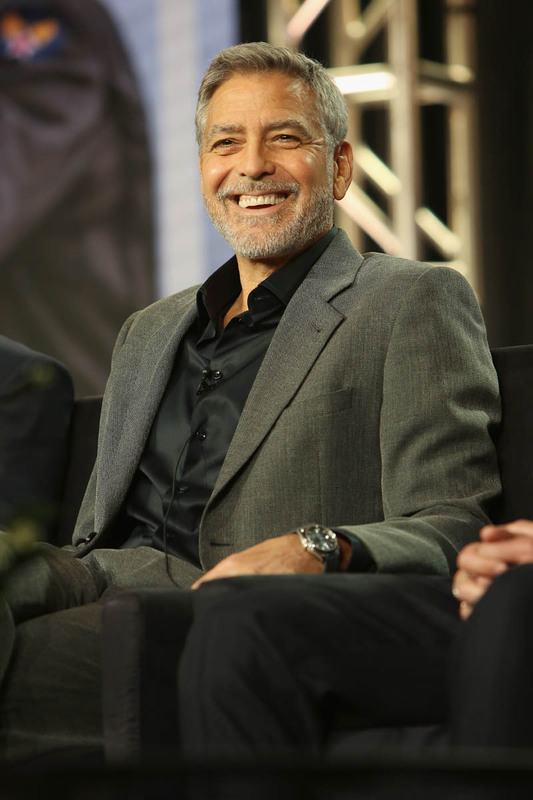 George Clooney was at the Winter TCA yesterday to promote his upcoming Hulu series Catch-22. Just a word on the Winter TCA – this used to be my assignment at etalk. I used to spend several days there every January working on coverage for our show. Most of the press events happen at the Langham, which is where I stayed. Their hotel pens are pink and pretty and I collected almost a box full one year – I have a thing for hotel pens, for some reason they write smoother. It was at the Langham one year, during the Winter TCA, that I started watching Veronica Mars after several years of Duana nagging me. I remember I was texting her in the middle of the night, because I couldn’t stop, being all like WTF, why didn’t you say so, and she wanted to come through the phone and punch me. It was at the TCAs that I had a cigarette with Chris Pratt one afternoon – this was in the early years of Parks & Rec – and tripped down a hallway only to be caught by Kerry Washington. It’s also where I first saw Matt Bomer with my very own eyes and appreciated what it means to be in the presence of the divine. I’m coming to a point here though: at that time, it was understood that “only” television stars showed up to the TCAs, especially the Winter TCAs. Not that that’s a bad thing. It just wasn’t the way it is now. And now? 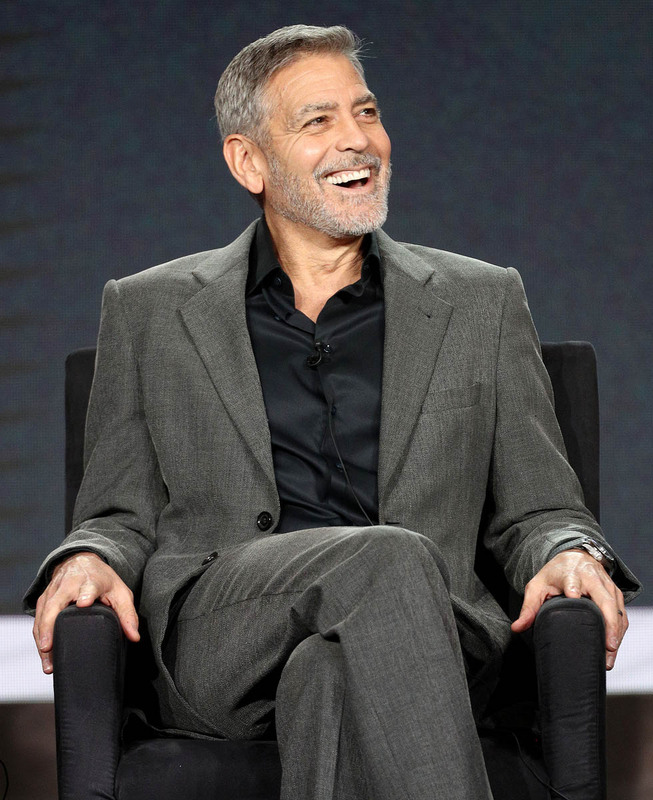 George Clooney is at the Winter TCAs! Last week it was the cast of Big Little Lies – Zoe Kravitz, Reese Witherspoon, Nicole Kidman, Laura Dern, MERYL STREEP. If Duana were here, she’d be puffing herself out, building up to an indignant rant about how she’s always been about the TV life. 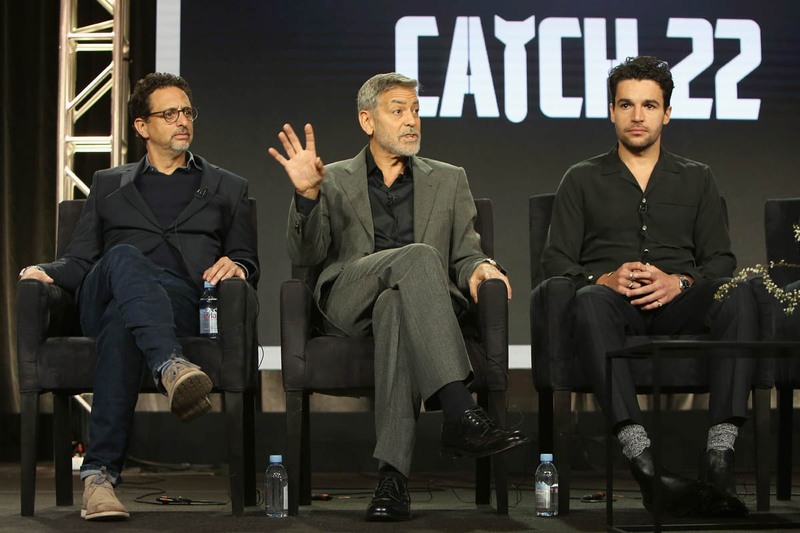 I know we’ve been through this before, about how television is not what it was, how television has closed the hierarchy gap, how the stars themselves, many of them anyway, are acknowledging that there shouldn’t be a gap. But I do wonder whether or not there will ever be a day when the pendulum swings in the other extreme – that “movie” stars will be seen as how “TV” stars used to be seen. Or if both of them will occupy a lower standing than Instagram stars. "Oh yes, I’ll be the godfather of the royals apparently. No! I’m the father of twins, I have enough sh-- to deal with – literally!" "I do want to say, they’re just chasing Meghan Markle everywhere, she’s been pursued and vilified." He continued, "She’s a woman who is seven months pregnant and she has been pursued and vilified and chased in the same way that Diana was and it’s history repeating itself. "We’ve seen how that ends. I can’t tell you how frustrating that is, just seeing them broadcast a letter from a daughter to a father, she’s getting a raw deal there and I think it’s irresponsible and I’m surprised by that." 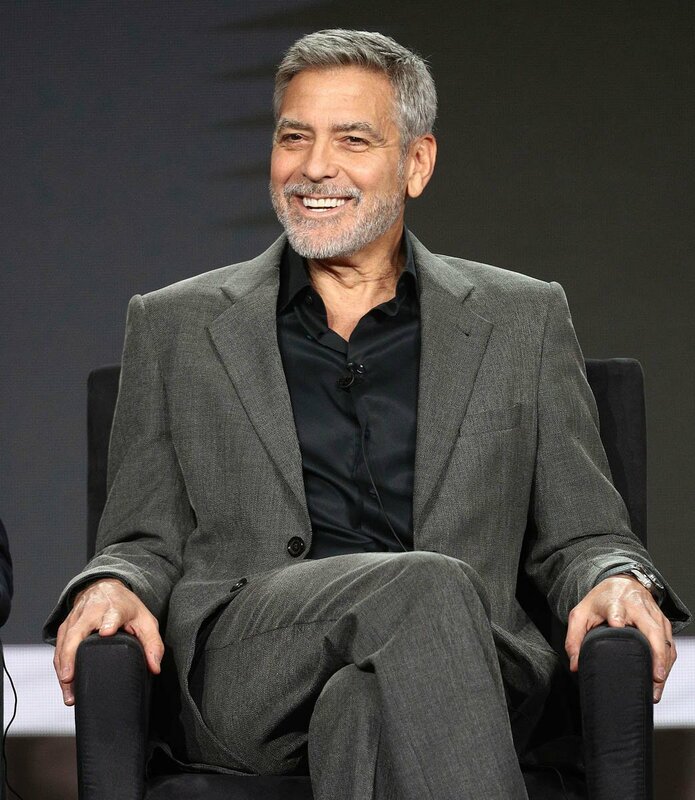 First of all, the “letter from a daughter to a father” story would have been just under two days old when George was answering that question so, clearly, even with all the sh-t he has to deal with raising twins and producing a TV series, George is up on his gossip. Second, he is, of course, speaking metaphorically here when he’s describing the “chasing” of Meghan Markle. She’s not being physically pursued and run down the street but the British tabloids are chasing her in print with their reporting. It’s not exactly the same as last week’s PEOPLE cover feature with Meghan’s five friends all stepping up on her behalf, but there’s definitely a connection. Her friends, most likely with Meghan’s blessing, coordinated an effort to anonymously but publicly vouch for her. Now one of the biggest stars in Hollywood is doing the same. 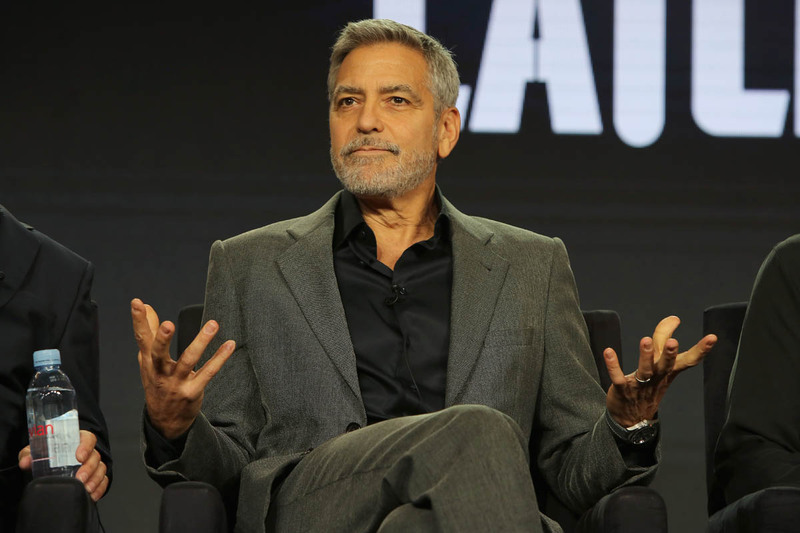 I don’t know that George’s comments were as strategically planned as what we read in PEOPLE but wouldn’t it be interesting if one of the five women who spoke in PEOPLE ended up being Amal Clooney? And then, as a second stage of artillery, isn’t it interesting that one of the biggest movie stars in Hollywood is chiming in? As I’ve been saying about Meghan, for months, and again yesterday when I said she was going rogue, she isn’t playing by how the royal machinery normally operates. The British press is pissed that they got scooped by an American magazine that’s criticising their coverage. 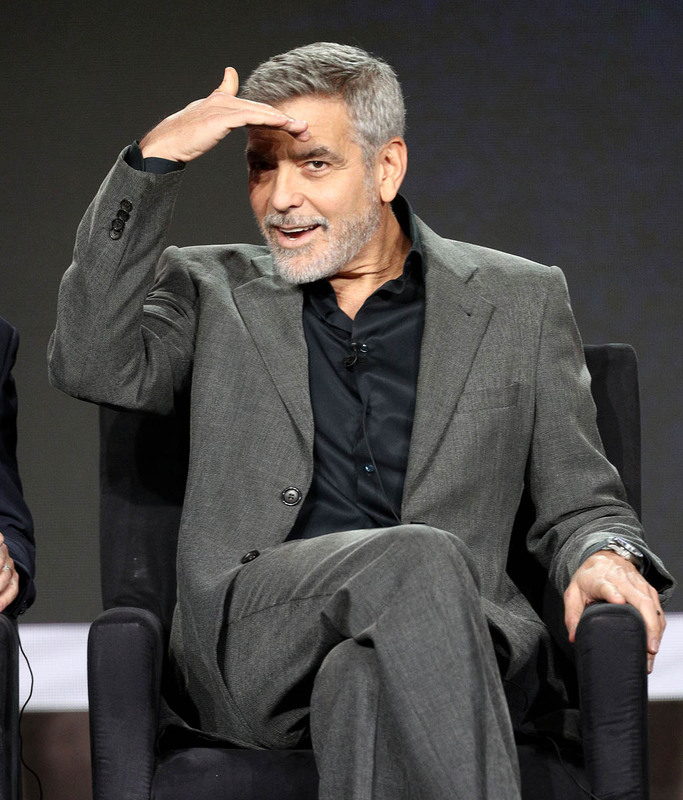 A week later, in America, George Clooney is calling them out for being irresponsible. Meghan is taking the benefits of her old life into battle and that’s another reason why they’re so mad at her: because she’s refusing to conform. And because, as is becoming obvious, she’s more skilled at the long gossip game than perhaps they anticipated.